A native Californian and a Sacramentan since 1951, Tom graduated from Sacramento State College with a music degree in 1970. He studied guitar under Tiny Moore as well as Cuban classical guitarist Rey de la Torre. 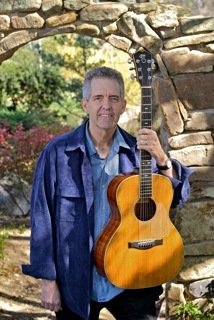 A member of the seminal Sacramento country rock band Redwing, Tom continues to teach and play music with everyone from rock bands to symphonies in the Northern California area. If I could ever do 5 songs again, “Don’t Worry Baby” would be on the list; I’m glad Tom included it. This guy is such a giant musical presence, and a big influence on me in every way. Hi John, Great to hear that story about Redwing, thanks! Tom has been sending me a few things he’s been recording in the last year, and they’re outstanding! As a matter of fact, it’s got us thinking about making a “cool things our guests have been doing” page. He’s got a couple of video clips that we could make links to. The last thing he sent me was sort of a Chet Atkins style thing he wrote, just beautiful! He’s a really great player! Really enjoyed this interview with Tom Phillips. Always wondered what happened to this most talented guitarist? He is one of the best rock guitarists out there and produces the best of amplified sounds on electric guitar. Wonder where he is teaching guitar? Sacramento area? Absolutely one of the most interesting and confident lead guitarists to listen and watch work the fretboard. He consistently produced a most stunning professional presentation of music every time I was fortunate to see and hear him perform with the former New Breed! The 5 songs with Tom Phillips would not play. “File not found” was displayed in the box. ????? ?